September 29, 2009, Kelowna, BC, Canada, SkyTrac Systems has appointed Major Stephen Fuhr (retired), formally of Winnipeg, Manitoba, as Vice President and Director of Business Development and will working closely with the President and CEO. Fuhr will lead and manage the growth of SkyTrac’s business development activities worldwide. Fuhr is a graduate of Trinity Western University where he achieved a diploma in aviation technology and a commercial multi-engine IFR rating. 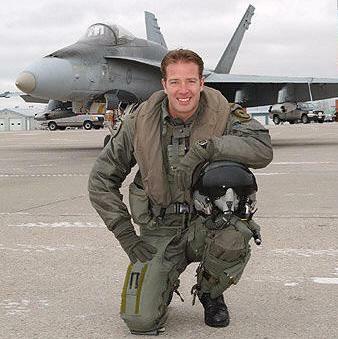 In his second year Fuhr was selected as part of an Air Force initiative to fast track pilots into the Canadian Air Force (CAF). After 20 years of service Major Stephen Fuhr has achieved nearly 4000 hrs of flight time as a pilot instructor / standards officer and operational CF-18 pilot. Fuhr has also held high profile staff positions at 1 Canadian Air Division (1 Cdn Air Div) were he was the Operational Fleet Manager of the CF-18 for five years. During his tenure at 1 Cdn Air Div Fuhr was also the lead Canadian NORAD Fighter Interceptor Officer (FO) and both a NORAD and NATO evaluation officer. Most recently, Fuhr ran the Canadian Forces Instrument Check Pilot School (ICPS). In his year as the Flight Commander Fuhr lead his team to successfully modernize the school in terms of course delivery best practices. In July of 2009 Fuhr received a Commendation from the Chief of the Air Staff for his efforts in Force Generating a Tactical Air Control Party capability for Canadian Task Force Afghanistan. SkyTrac is the world’s trusted supplier of satcom solutions for data, text and voice communications. With customers on every continent and from all areas of operation, from Oil & Gas to Air Medical to Law Enforcement to Search & Rescue, SkyTrac provides market leading solutions to market leading companies. SkyTrac has acquired a long list of Supplemental Type Certificates (STCs) and the company’s hardware has been installed on a large number of rotary and fixed wing aircraft types from AgustaWestland, Eurocopter, Bell, Sikorsky, MBB, Beechcraft, de Havilland, LearJet and Raytheon.